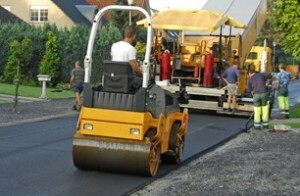 Everyone has an opinion about tarmacadam but in this section we will attempt to put the record straight in terms of the types of tarmacadam there are, what are its uses and why it is so important. We will also look at the origins of tarmacadam, how it was invented and the people and companies involved in bringing about the product that we know today. 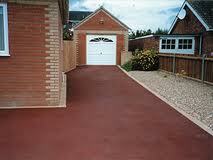 Tarmacadam – Full excavation, base layer & wearing course or just a re-surface? 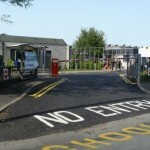 There are three main services offered by tarmacadam contractors, the most important one being a full excavation which involves a new stone sub-base, a dense binding course or base course of tarmacadam and a final wearing course of bitmac. 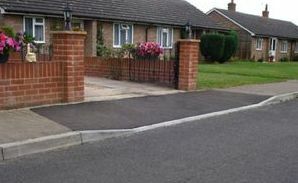 Secondly, the work on prepared areas requires just the two tarmacadam layers on an existing stone sub-base and the third option is to resurface or overlay an existing area of tarmacadam which may be damaged with pot holes. On other pages we will also consider the advantages and disadvantages of tarmacadam, the uses for coloured tarmacadam and the restoration and refurbishment of existing tarmacadam driveway and patio surfaces. Then, from a more technical standpoint we will explain the differences between hand laid and machine laid tarmacadam and what Stone Mastic Asphalt (SMA) is. Recent Government legislation requires that surface water from impermeable paving areas must be dealt with within the curtilage of the property, so we will consider the use of permeable tarmacadam paving. And finally we look at the advantage of Cut-Back in prolonging the workable life of tarmacadam and the importance of penetration or Pen Grades in assessing the strength and hardness of the bitumen used in tarmacadam. Practically everyone has heard of the term tarmac and most people think straight away of the black stuff on driveways, car parks, pavements and roads, though there is very much more to it than that. In this section of the website we shall attempt to explain exactly what it is, how it was developed, the many different types available (including the related product stone mastic asphalt), its applications for both the domestic and commercial markets and its advantages and disadvantages. The proper installation of tarmacadam, especially of very large commercial jobs, involves expensive and complex machinery together with skilled operatives. It is however, the smaller domestic jobs that most people have a story about, as many know of at least one homeowner who has been approached by a gang of labourers ‘who have a bit left from a job around the corner’ – better to steer clear. We should point out that tarmac™ is a registered trade mark owned by the company of the same name, which has become the accepted term in modern parlance, much the same way as Sellotape™ for clear adhesive tape and Hoover™ for vacuum cleaners (though I’m sure Dyson™ may have something to say about that these days). In this website therefore, we shall refer to the product as tarmacadam or bitmac which is an abbreviation of bitumous macadam.